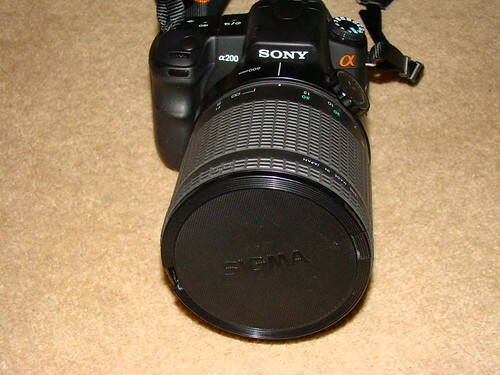 I had posted earlier about having bought a used 600mm Sigma mirror lens. 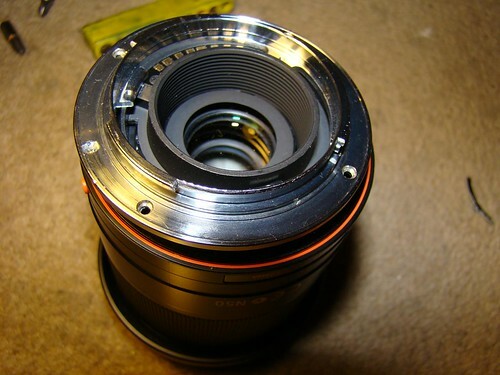 Having finally got the lens, I tried to use it but discovered that the lens did not have a ROM chip in it. 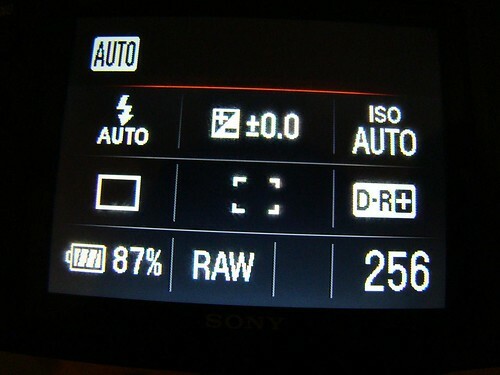 Thus I could only use it manually in M mode on my Sony A200. 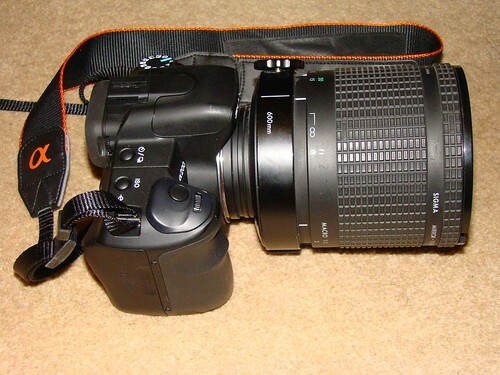 If used in a different mode an error message flashes on my screen - "No lens attached. Shutter is locked". Manual focussing is not a problem by itself, and I did get some good pictures with it, but when you also have to check the exposure before each click, thats a lot of valuable time wasted. It can often mean the difference between getting a good shot and missing the shot completely. Hence, I just had to find a way to get the lens to work in Aperture priority mode/Auto mode/Shutter priority mode. I thus had a look around the net for other solutions. 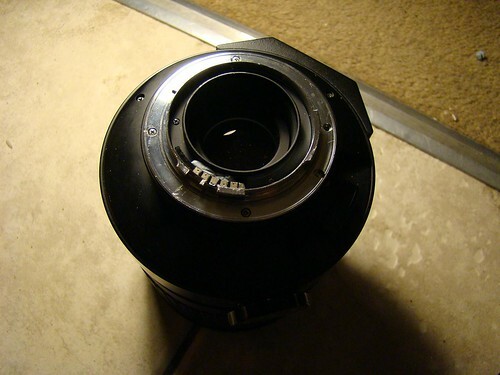 I became aware of adapters with chips which made the Aperture priority mode available. 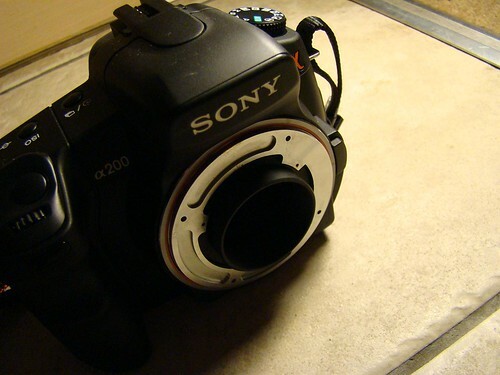 These adaptors were fitted with an “AF confirm” chip, which enables the camera to beep when the subject is in focus. i.e when you focus manually. 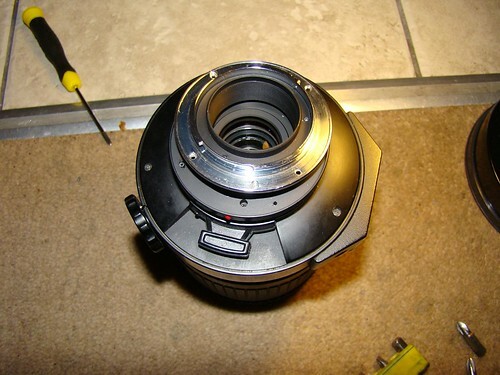 However I couldnt use the adapter as I already had an A mount on my lens and most of the adapters were M42 mounts. 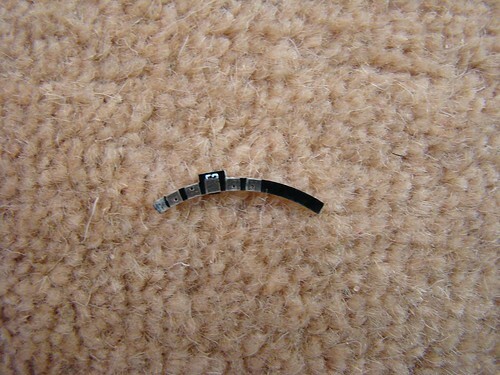 I also became aware that the chip was available by itself,(see here and here) and thus I started a hunt for it. I found two sources for the chip. 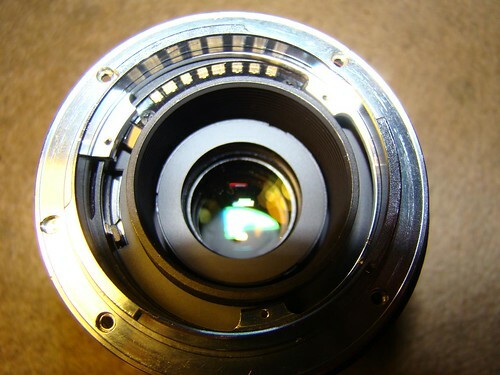 The first was from Jamesalot, who offered to send me a specific lens customised chip for $40. The other one was an ebay seller big_is who offered to send me a generic chip for about £10. The choice was easy as the lens was bought on the cheap and I wasnt sure if this was going to work. I thus invested in the cheaper option. The chip arrived promptly and I began the process of figuring out what to do next. For starters, I wanted to check if it would work at all. 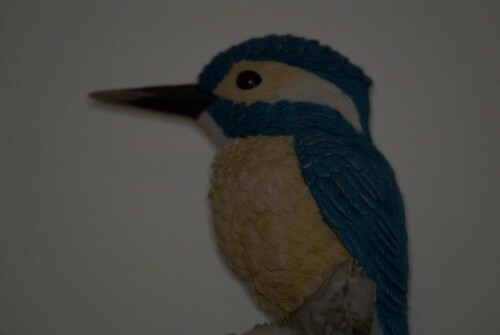 I thus inserted some bluetack in the space where the chip would sit and embedded the it in there and tried it on my camera. 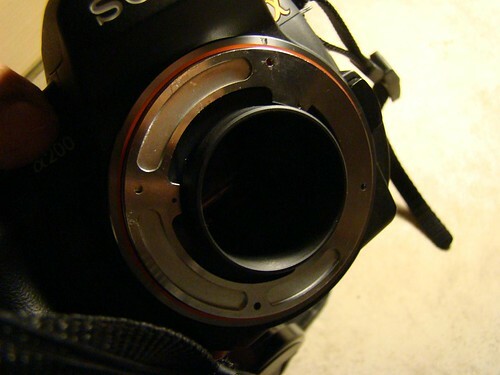 However this didnt work, probably because the chip moved within the bluetack while twisting the lens onto the camera. My only other option was to go all out and hack the chip into position as shown in the previous links. 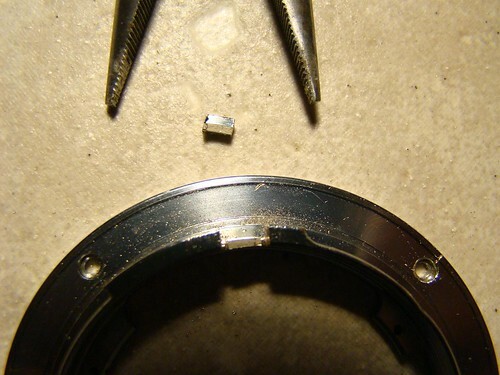 For this, I had to remove the lens mount, which was held to the body with screws. I did that successfully, but I need to stress here that you absolutely have to have the right size of screw driver, else, like I did, you will end up stripping the screw of its slots and have nothing to drive! 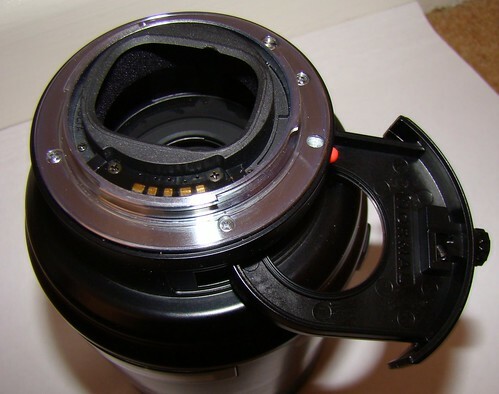 Once the mount was out ….. 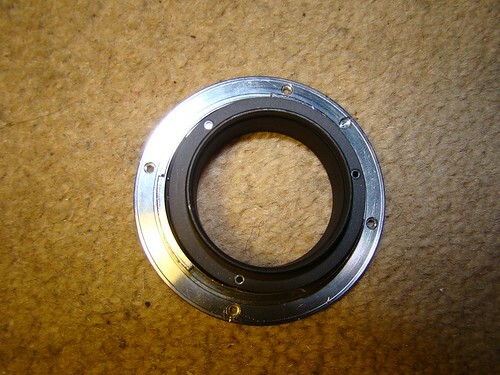 I realised it I had to separate the inner piece from the main mount. so once again I set about removing the ultra small screws and once again I lost a screw to stripping! 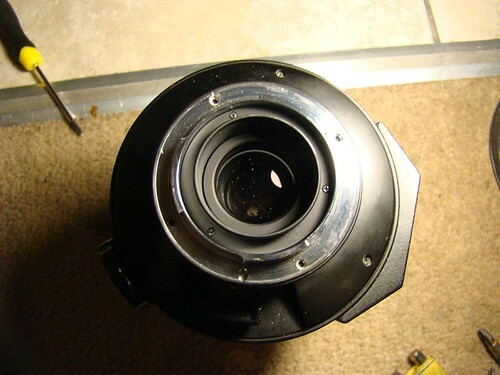 With the lens mount how I needed, the next step was to ascertain where exactly the chip would sit on it. I thought I could accomplish the exact location by overlaying the mount over the mount on my Sony 18-70mm kit lens. 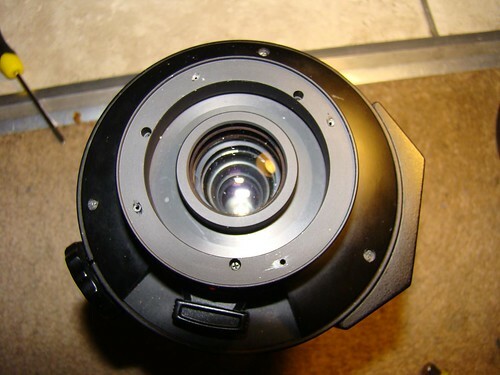 This turned out to be a mistake as the alignment was wrong - the chip on this lens had 7 contacts as opposed to the 5 present on the chip I was embedding….but read on. 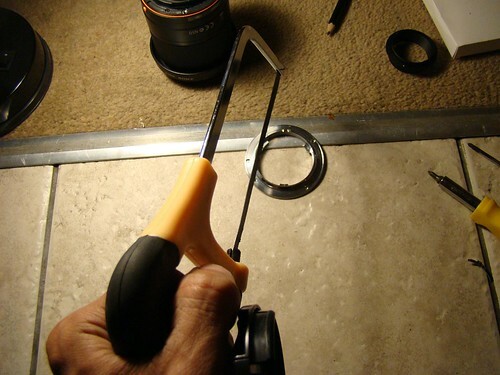 …and then set about making two cuts on the mount with a small hacksaw.. 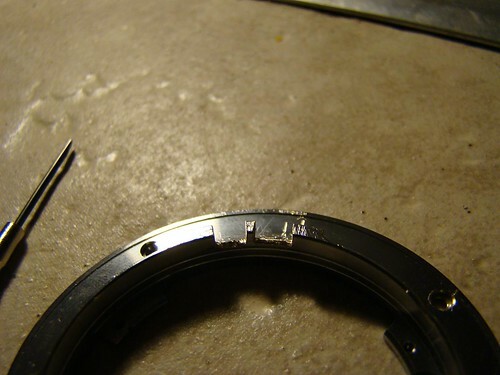 The depth of the cuts were as deep as the depth of the centre region of the chip (the protruding region). ..once that was accomplished, I had to saw the cut piece off horizontally. 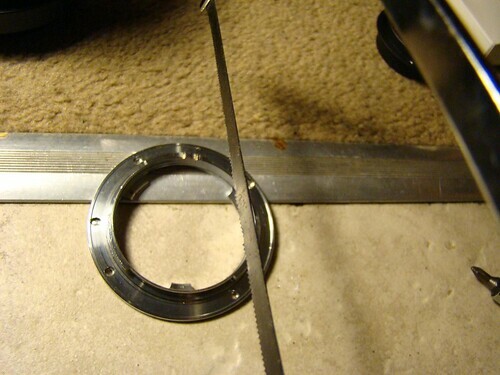 After wondering for a while how I was going to accomplish that, I held the cut region from above with a pliers and bent it inwards. It had exactly the effect that I hoped for and the piece snapped off exactly at the depth I had made the cut to. I now tested the cut by holdng the chip in the slot. It was a perfect fit. 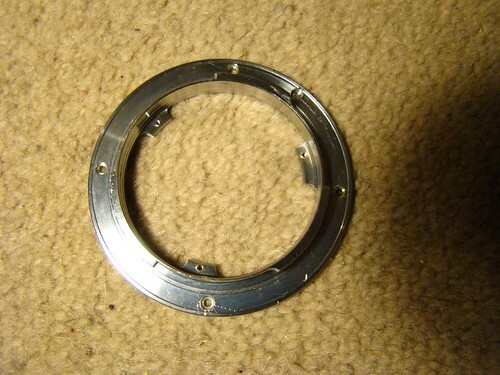 Then it was testing time, I reassembled the mount by screwing back the inner piece of the mount to get a whole mount. 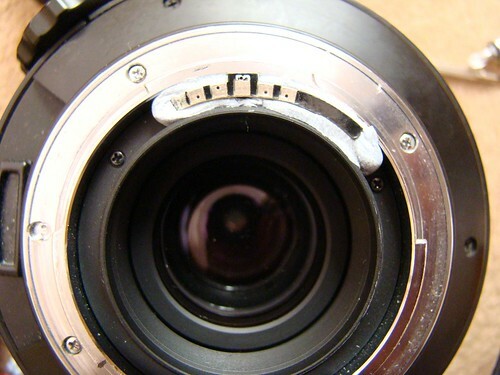 I then put the blue tack back in and embedded the lens in position. 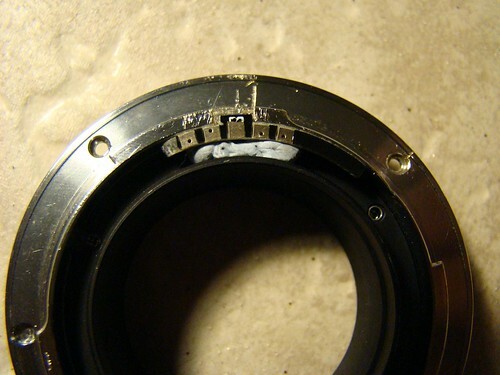 The chip wouldn’t move when I twisted the mount back on (minus the lens) as the protrusion in the chip was held in place in the slot on the mount. 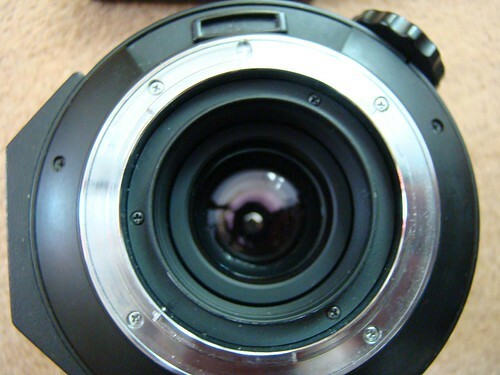 Once the mount was mounted I switched on the camera and tried all the modes by clicking the shutter button. I was still getting the same error message as earlier and was unable to use any mode but the [M] mode. My inference was that I had got the alignment of the chip wrong. 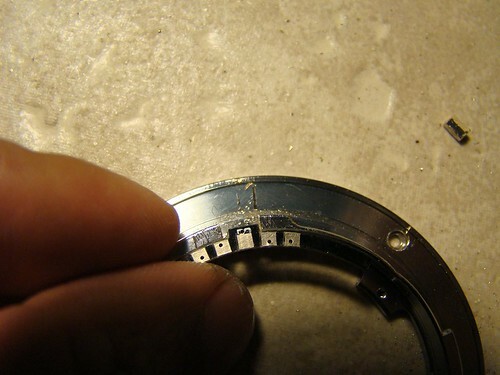 …and when I rechecked the alignment of the chip slot on the mount that I made, I found that it was off by quite a way. I thus set about to rectify this by repeating all the above steps and making another slot in the right position. I then re-embedded the chip in the new slot with blue tack….and re-testested it…and viola! not only did the lens work in aperture priority mode.. It also worked in all other modes, including the auto mode! 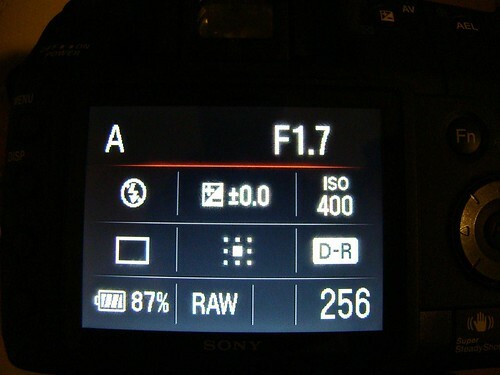 As seen above, when set in aperture priority, the aperture shows F1.7 !! However, everything works just fine. 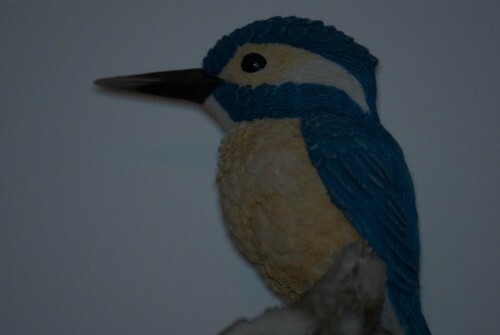 I`ve left the chip in the blue tack for now, but I`ll soon be sticking it into place with superglue/epoxy. and this one below in Auto mode. Both were taken indoors at night with normal indoor lighting. That’s it from me..I`m quite happy the way it turned out, in spite of having to cut two slots in the mount and losing two screws. I`ll soon be testing it out in the field, keep checking back if you are interested. If any of you are planning anything similar, I hope this post will be of help. I wish you all the best. Please do leave a comment, I`d love to know how you get along.